Ramada Best of 2010 Hotel Award Winner A great location near the Santa Barbara Airport, University of California Santa Barbara and US Highway 101. We provide complimentary Deluxe Continental buffet breakfast including grilled waffles and fresh fruit, Free High-Speed Wired and wireless internet access, Free Airport Shuttle, Year-Round Heated Pool and Whirlpool as well as Meeting space and a business center. 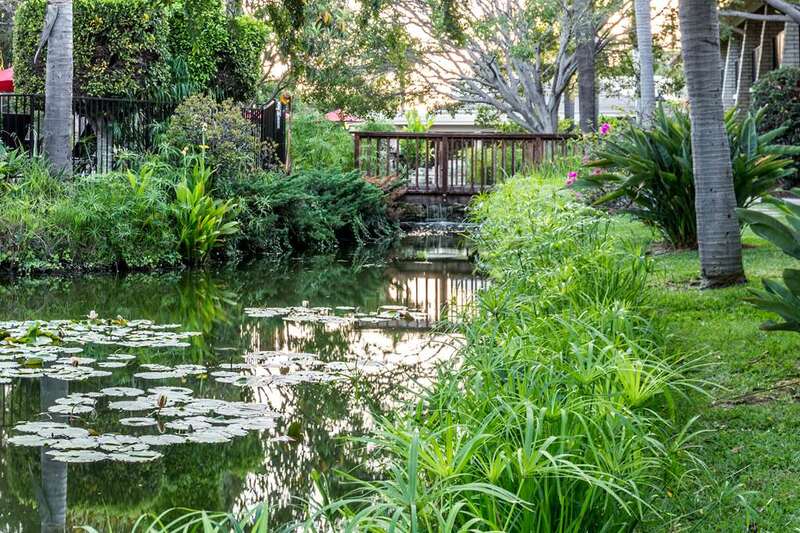 Whether you are visiting us for work or leisure, you will be able to relax at our hotel surrounded by the tranquil water-lily lagoon and garden courtyard inhabited by ducks, turtles and koi fish. In the evening a great nights sleep awaits you on our plush top Sealy Posturepedic mattresses. All of our rooms feature microwaves, fridges, coffee and hairdryers. We are close to many distinctive restaurants and specialty shops as well as local businesses. Charge your electric car at one of our three electric car charging stations. Recognized as one of Santa Barbara and Goletas best value hotels, we are located within easy access to both cities, where there is so much to do and see including historic sights, award winning wineries, beaches, golf and more. Amenities include discounts up to 20 percent off at local restaurants and other attractions including privileges to a nearby Athletic Club.